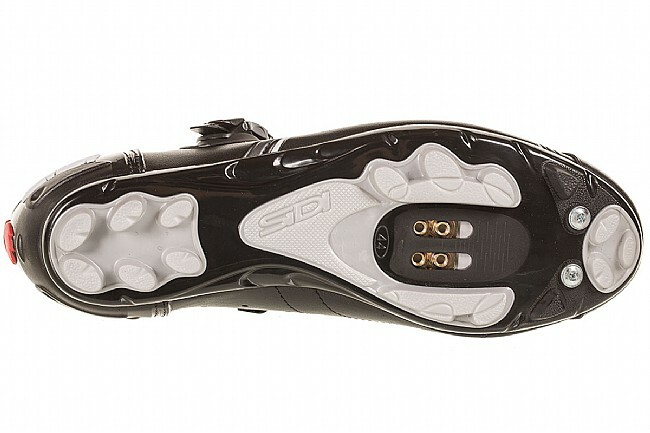 Sidi's Buvel MTB Shoe provides extreme durability, excellent performance, and a dash of style. The synthetic upper is abrasion resistant to hold up to rough trails, and the Competition Sole has been specifically designed for the optimum balance of comfort and stiffness. 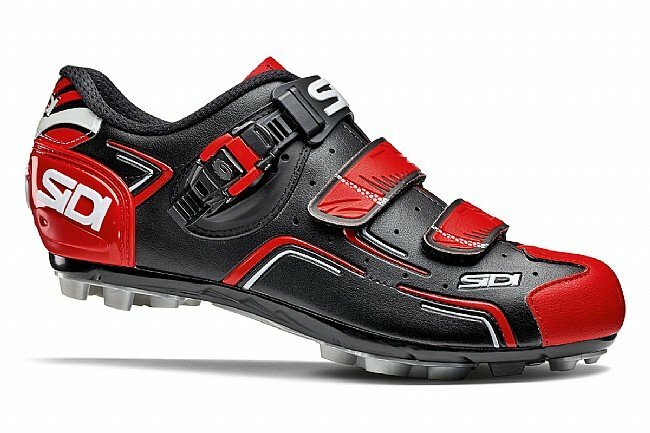 This shoe features Sidi's staple caliper buckle closure and their reinforced heel cup to keep the foot in the prime pedaling position. Reflective rear elements. Available in multiple colors. Compatible with two-bolt SPD style MTB cleats. My first pair of Sidi's and I am impressed with the quality of the shoes. They are at the low cost end of their product line, but the construction is immaculate. I wear US size 11.5 and have a slightly narrow foot. The size 46's fit perfectly. One thing to note, the uppers on these shoes are pretty stiff and will require some break in time. I've only had mine for a couple of weeks, so have not fully broken them in. That's why I've only scored them 4 stars. If they get more supple after more rides, they will be 5 star shoes. 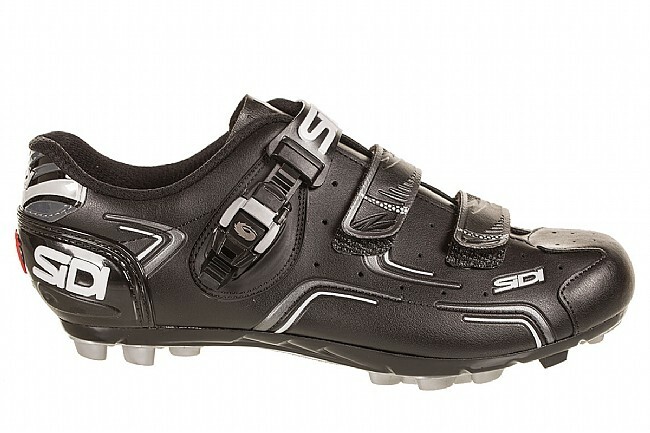 As a year round commuter and wanna-be cyclocross rider in the PNW, I hate shoes with too much venting. My feet are going to get wet, sure, but there is no reason to let in any more moisture than needed. My goal with these was to try out a highly recommended brand and see if they last more than a couple PNW rainy season. I have narrow feet and the fit of these is great (46). I don't have to tighten them way down to keep my feet from sliding side to side. There is no flex in the soles, walking is less comfortable than my previous Shimano mt-80s. Tred is also smaller and less stable for walking. I was pleased that the fit was consistent with that of my higher end Sidi road shoes. It is a great shoe for cool weather riding as there is little ventilation. I ordered the orange and black color and I have to say it is much brighter and more redorange than pictured. Think highway cone orange and not pumpkin. I'm getting used to it and who knows it might keep me from getting mistaken for a deer! The most significant difference between these and the domiators is that these don't have carbon soles. Saying that though it's still an extraordinary pair of shoes. The walking and performance is still better than other mountain bike shoes in it's class, I've biked roughly a thousand miles on these and they're still comfortable and reliable. Same fit as the Dominator but without the soft strap. Fortunately, you can get these after market. 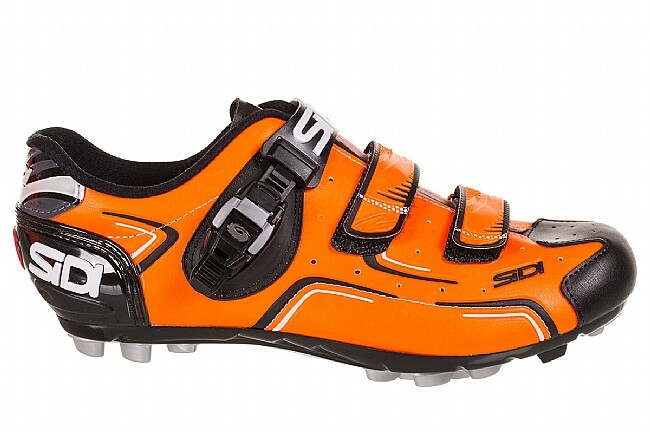 The Sidi shoes fit well as function well for the cyclocross events and training I used them for recently.